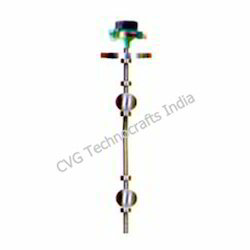 Providing you the best range of float operated liquid level switch with effective & timely delivery. Owing to our rich industry knowledge, we manufacture and supply a qualitative array of Float Operated Liquid Level Switch. This switch is an economical, maintenance free and reliable device used for high, low or intermediate level switching. These switches come in various non-magnetic materials & construction styles to suit broad range of media / applications. In addition to this, our professionals are capable to modified this switch within the minimum time frame and at affordable price.